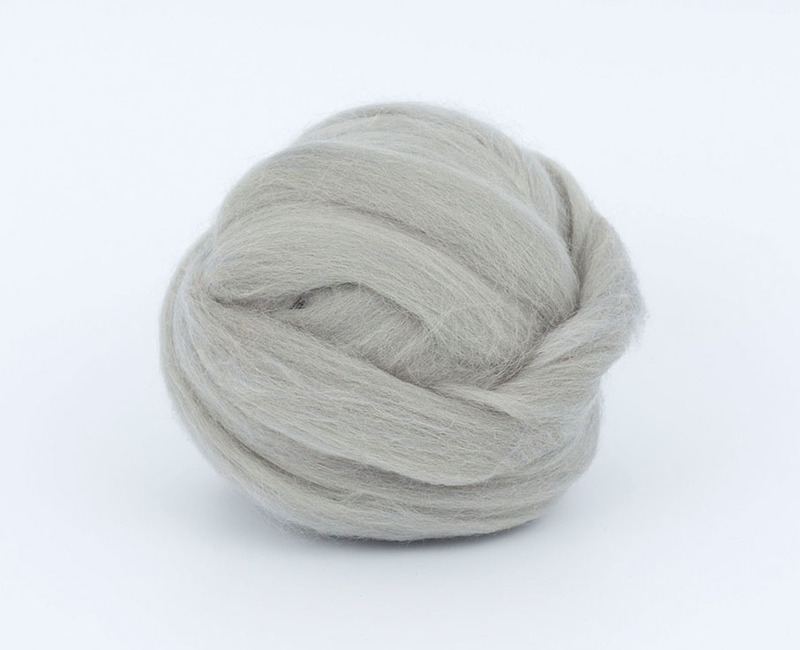 Wool Tops :: Tops Merino Dyed 26 mic :: Grey LightMelange 26mic tops B103, 50gr. Home/Wool Tops/Tops Merino Dyed 26 mic/Grey LightMelange 26mic tops B103, 50gr. Grey LightMelange 26mic tops B103, 50gr. Minimum quantity for "Grey LightMelange 26mic tops B103, 50gr." is 2. Pretty color and felts like a dream. Always pleased with my purchases from EcoHobby wool.